No April fools from me today but instead just a quick heads up that on Sunday April 13 I’ll be presenting a tutorial at ECIR 2014 in Amsterdam called Designing Search Usability. This is part of a programme of tutorials offered that day, so there are lots to choose from. 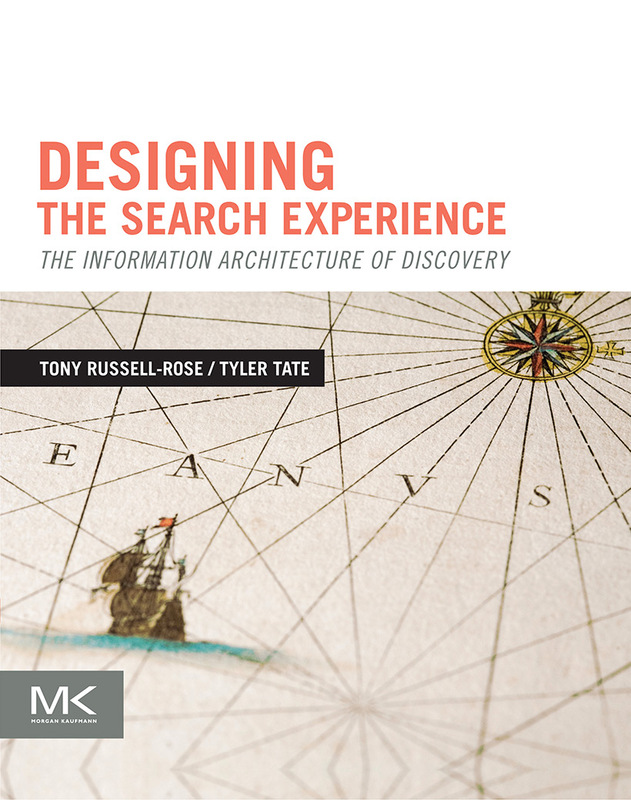 The course represents a wholesale revision of my original tutorial, updated to accommodate new concepts and exercises drawn from the book “Designing the Search Experience: the Information Architecture of Discovery”, published by Morgan Kaufmann in December 2012. For further details and registration, see the ECIR 2014 website. In the meantime, I’ve appended further details below. Just a quick heads up that on Sunday 28th July I’ll be presenting a tutorial at SIGIR 2013 in Dublin called Designing Search Usability. This is part of a programme of tutorials offered that day, so there are lots more to choose from. Personally I wouldn’t mind attending the Building Test Collections course as well (a topic that always presents particular challenges when addressed from within an commercial environment). For further details and registration, see the SIGIR 2013 website. In the meantime, I’ve appended further details below.